Akalsukh Kaur (Mo) is a KRI certified Kundalini Yoga Teacher. Mo discovered and developed her Yoga practice whilst travelling in India which had a profound effect and led her to Kundalini Yoga. Mo works in the holistic field and specialises in various massage techniques including aromatherapy, deep tissue, Indian head massage and has trained in shiatsu for a year (ongoing). 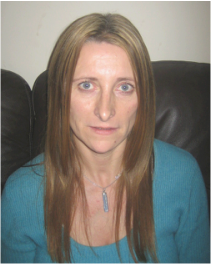 Mo has also worked for many years in the Substance misuse field specialising in drug and alcohol misuse and brings a deep understanding of these issues. Yogi Bhajan who brought Kundalini Yoga to the west in 1968/9 first introduced Kundalini Yoga into the drug community as he saw that people with addiction problems could most benefit.